Fenugreek is one of the most effective herbs for increasing breastmilk production. It has been successful in even the most difficult of cases. Fenugreek must be used with consistency to experience best results, therefore using a product that contains Fenugreek along with other herbs in the product is not recommended as it makes regulation of Fenugreek intake difficult and can cause an up and down milk supply (or even a drop in milk supply for some women). Using it as a single-herb product such as this (meaning it is the only herb contained in the product), is highly effective and is extremely easy to use and regulate. Using it as a single herb product provides best results. Details on Fenugreek's consistency issue and how it can cause an up-and-down milk supply when used in a combination product can be seen at the Fenugreek Info article under More Information below. Gas: In a small percentage of people, Fenugreek can cause gas in mother and/or baby. Adding Fennel Tincture, Nursing Tea Moringa Blend, Nursing Tincture Moringa Blend, or Tummy Tincture will help alleviate this problem while working to increase milk production. Discontinuing the herb: Once the milk supply is stable, you may discontinue the herb if you wish, but it is recommended to gradually wean down from Fenugreek should you decide to discontinue, as a sudden decrease in herb consumption can cause a drop in milk supply. Instructions on how to wean down can also be seen in the Fenugreek Info article under More Information. Long-term use is considered safe. Fenugreek is not recommended for use during pregnancy as it has some slight uterine stimulating properties. Fenugreek should be avoided by diabetics who are on strict insulin regimens as larger doses can lower blood sugar levels. 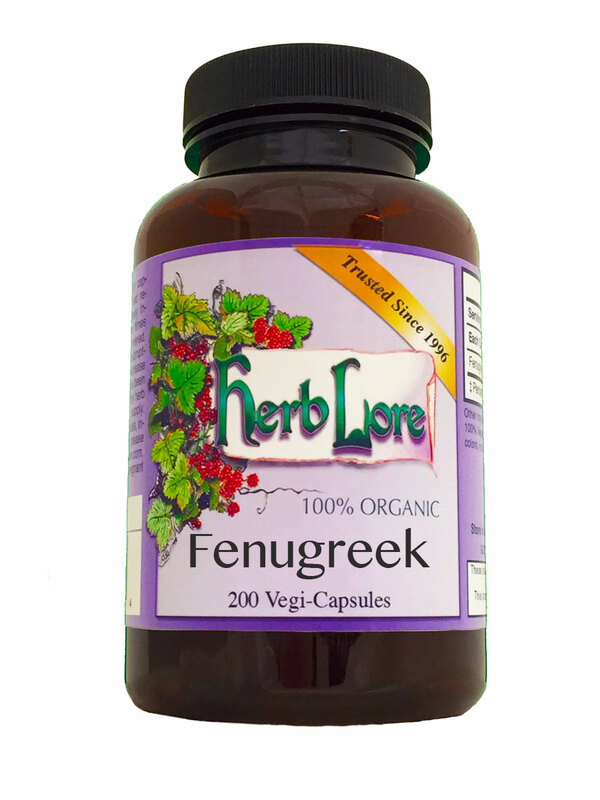 If diabetics choose to use Fenugreek, be sure to carefully monitor your blood sugar readings. Your medications may need to be adjusted. Fenugreek is a member of the Legume family, therefore people with allergies or sensitivities should avoid Fenugreek as well. Fenugreek may cause you to smell like maple syrup. This is not necessarily a bad thing - it just means the herb is active in your system.